Over the years I have learned the most about my own privilege and about the experiences of people who don’t have it by listening, reading, and then sitting with my own discomfort and “aha” moments about the gap between the two. This hashtag and the ongoing #ethicalfashionrepresentationmatters conversation are great places to do that if you, like me, enjoy the advantages of being white and/or straight and/or gender-conforming and/or able-bodied and/or a citizen of the US, etc. and want to dig a little deeper about what that means and what you can do to spread those advantages to others. Alright, on to the clothes. 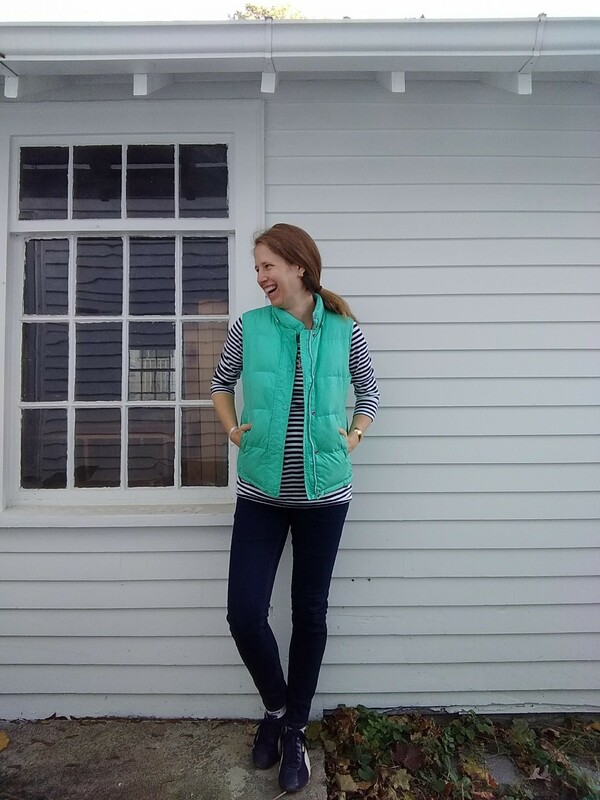 Here’s the second half of the 2018 Fall 10×10: the outfits I wore and what I thought of them. 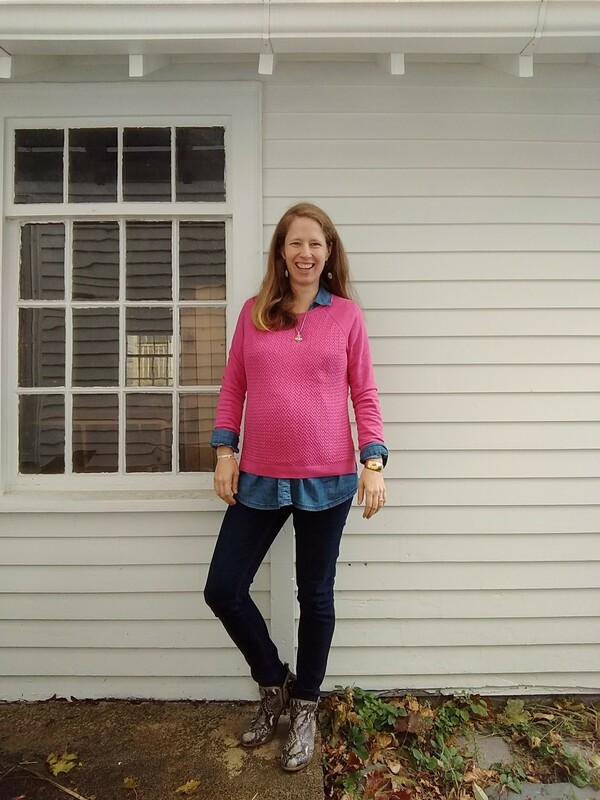 I am a big fan of the chambray + textured sweater look, although you can see in this and in the pink edition that the chambray shirt is too big and doesn’t lay flat underneath the sweater. 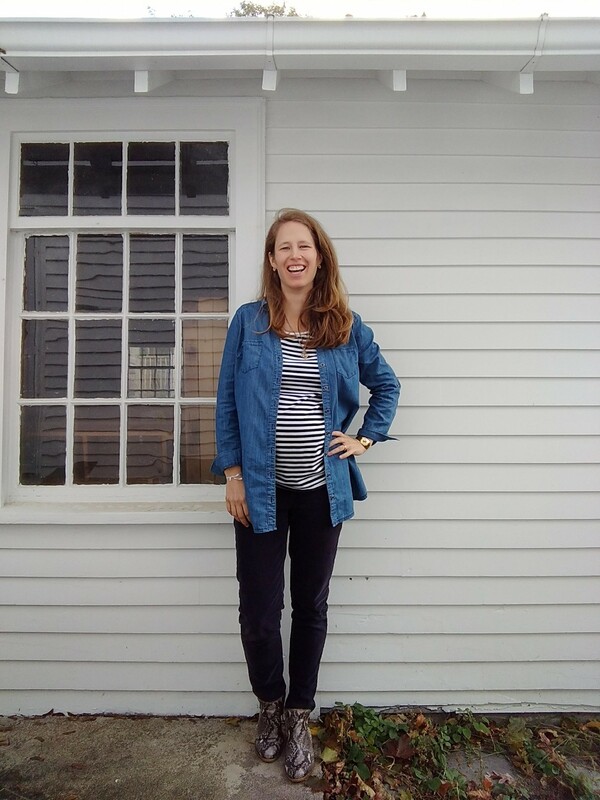 I will be on the hunt for a chambray base layer to replicate this in non-maternity fashion. 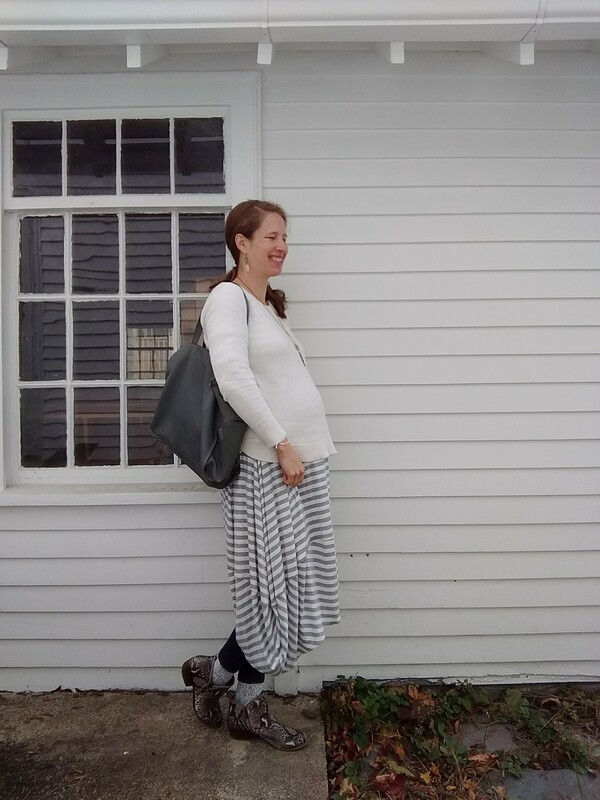 As noted last time, the sweater-over-maxi-dress is not my favorite look, but I am glad I tried out something new. It is eminently comfortable and I think I prefer this version, with the pink popping against the white/gray, to the white version deployed earlier in the challenge. This is not a look I imagined when I pulled these separate pieces into my 10×10, but I decided to be creative and the vest gave me enough warmth to make it work. 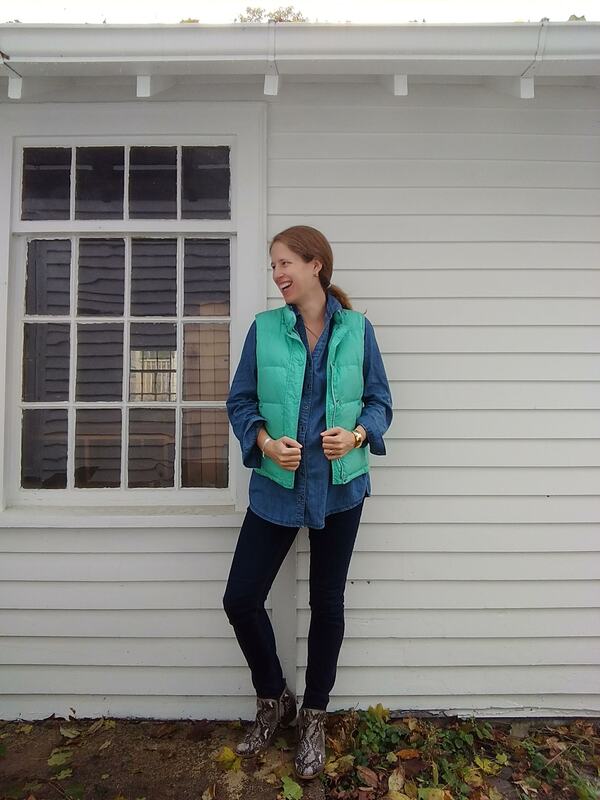 I love the longer length of the chambray shirt peeking out from under the vest, but again the oversize nature of the top makes it feel a bit sloppy. We’re back to “perfectly acceptable” territory, with just enough texture/print to keep it interesting. 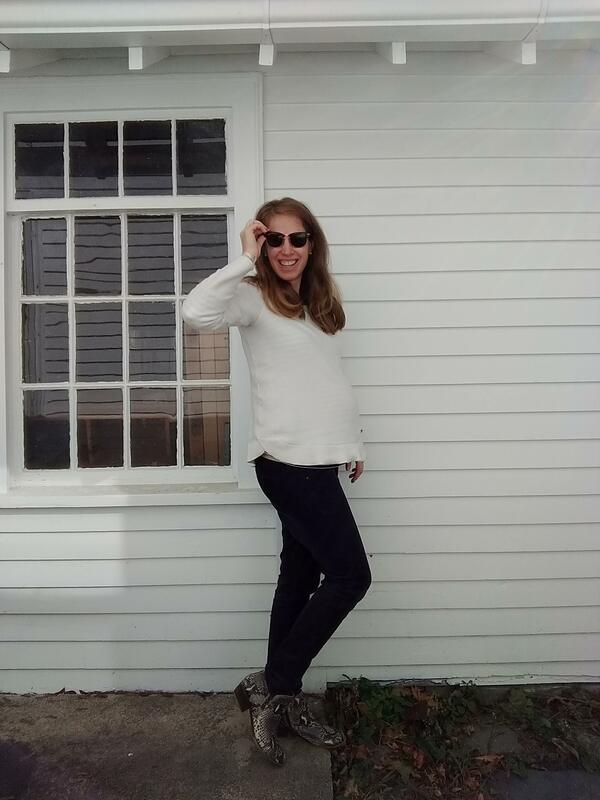 I’ll definitely be wearing this shirt-plus-sweater-over-skinny-pants combo in different iterations through the end of pregnancy (assuming these sweaters make it, size-wise!). 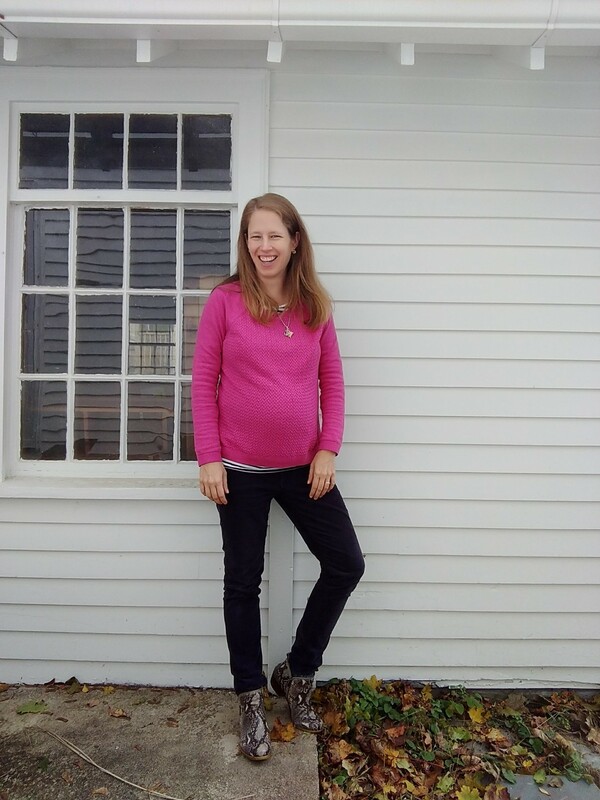 My goals for this 10×10 were to try out some new-to-me silhouettes and break out some as yet unworn items in my maternity capsule. Done and done! 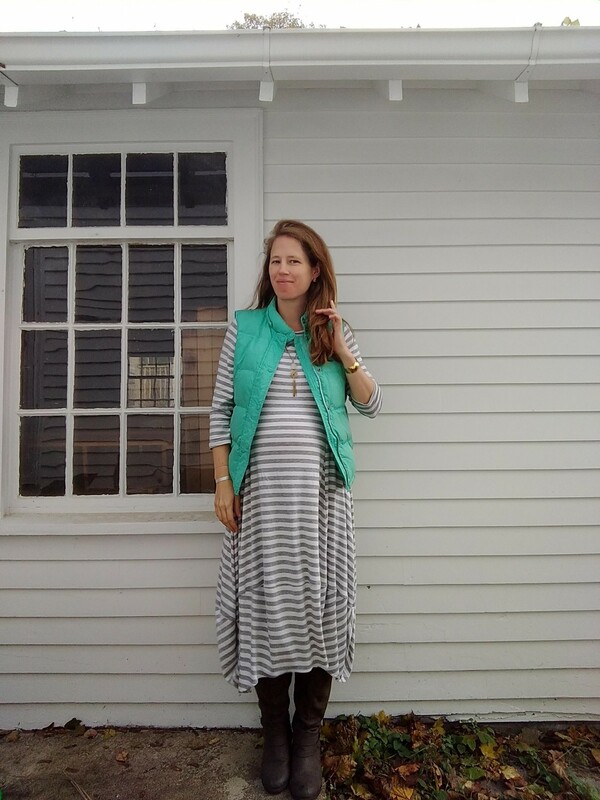 I was tickled to discover legit ways to wear the maxi dress, to take one of my vests for a spin, to use the chambray shirt for unexpected layers – and to get some color into most of the outfits. 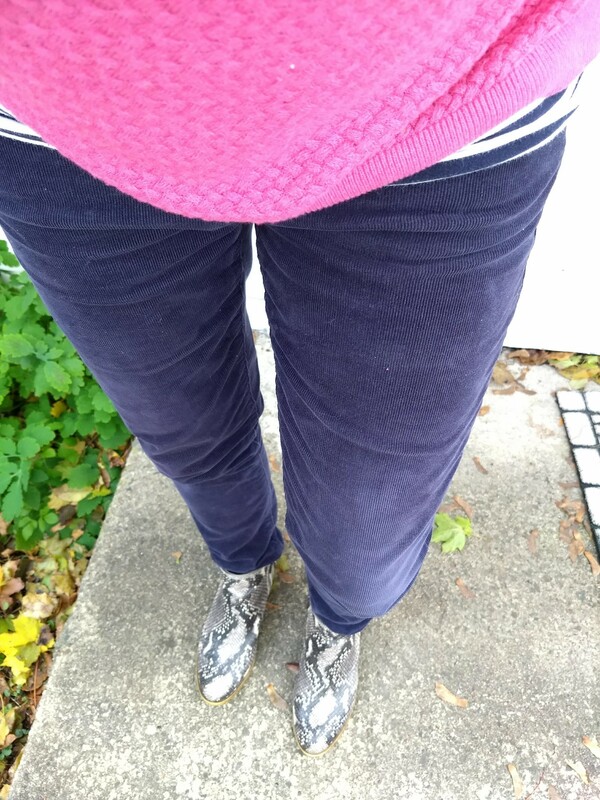 I also realized that my snakeprint boots go with eeeeeeverything. 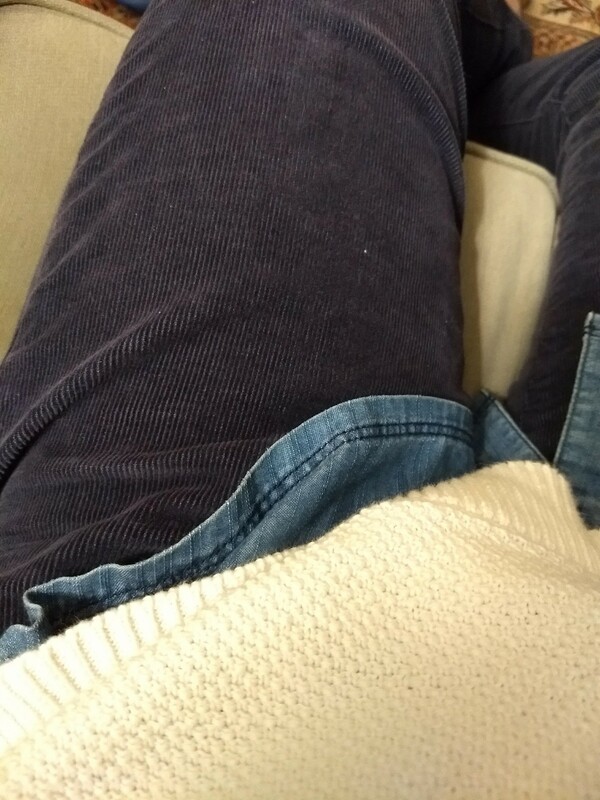 They are one of the few retail items in my wardrobe (though they were a gift from my sister) and I am glad to be getting so much wear out of them. 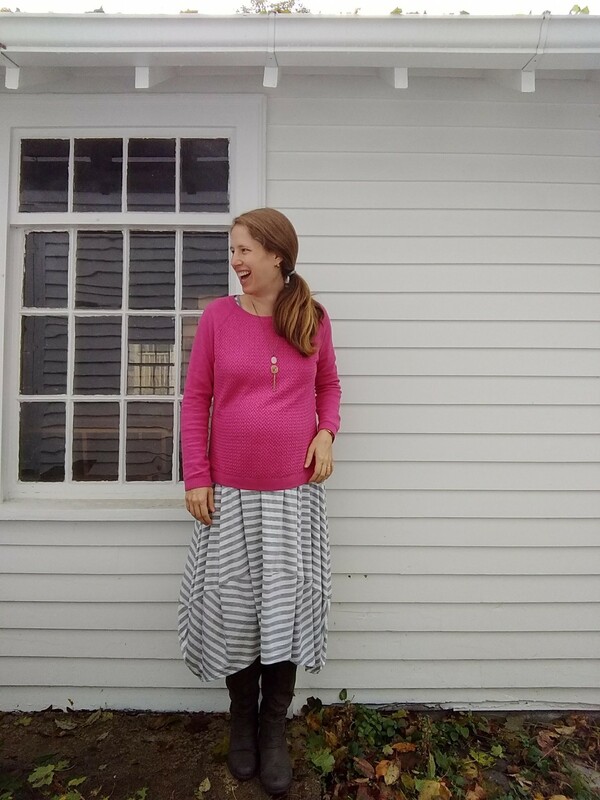 It’s funny – I’m so content with (and also limited in) my maternity capsule wardrobe that I think I could be happy wearing this same group of clothes through the end (or until the weather/my belly necessitates further changes). 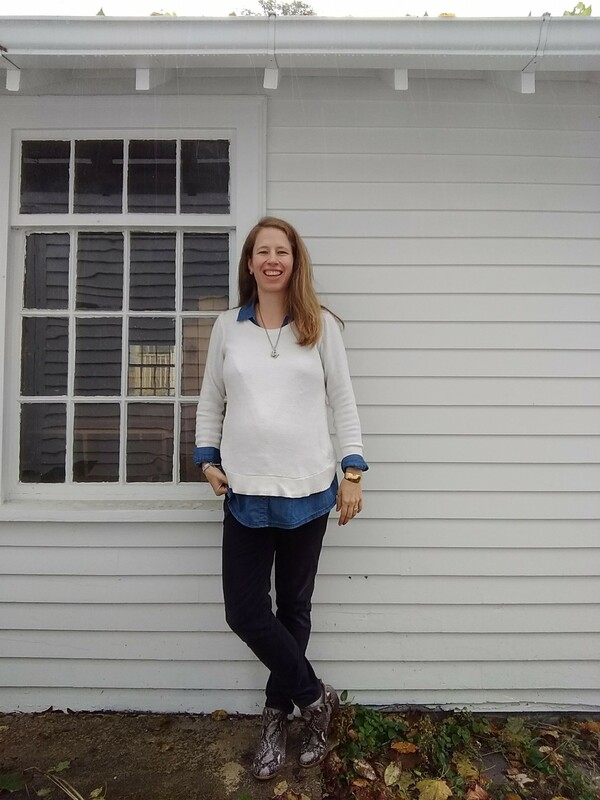 But coming back to my full wardrobe, I am looking forward to swapping two other sweaters (gray and cropped white) into some of these outfit combos and having a few more dressy options for Sunday mornings. Did you participate in the 10×10? Have you ever had a wardrobe this size, and if so, what did you learn from it?